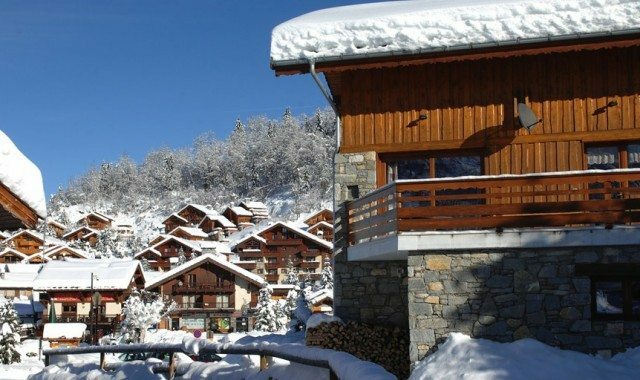 If you have several seasons of staying in chalets under your belt, or if you just feel like treating yourself, maybe you should look at staying in a luxury chalet in Meribel. Maybe you’d like a masseuse on hand, caviar served at every meal, or a helicopter ride to Ski School? Or maybe you just want all of the great aspects of a “standard” ski holiday, with some luxury bolt-ons? At Ski Basics we aim to do just that – so we focussed on the most important details when planning our luxury chalet package. With all of our luxury accommodation in Meribel, not only have our chalets been hand-picked, but some have been specifically designed as a result of our experiences with guests. Several of our plus chalets have Saunas, all are equipped with boot warmers, and many are built with under-floor heating as well as benefiting from a roaring fire at night. Our bedrooms can be made up for parties with every kind of dynamic, and all have their own private bathroom, if not en suite. Our plus chalets are chosen for their excellent locations, comfortable and traditional feel, and for their own extra-special unique selling point. When it comes to food, a luxury chalet in Meribel ticks all the right boxes. You’ll start your day with a differing hot option, with added extras like porridge, Dorset cereals, fresh juices and croissants. You’ll then head out for the slopes with pockets crammed with ski snacks, thermoses full of vin chaud or hot chocolate to keep you going, and when you’re finally ready to return home, there will be a selection of cookies, cake or brownies to fall upon. Champagne and a variety of canapés are normally served in front of the fire, before dinner is served. Consisting of four courses including a locally sourced cheese board, every dish is thought out with care, using the freshest produce to create menus with variety and flair. Next up is coffee, tea or a digestif with petit fours, while you retire to the sofas with your friends and family. Board games, sledges, and flat-screen tvs are all part of the entertainment provided in a Ski Basics luxury chalet, with children’s packs to keep the little ones entertained and our staff to facilitate your enjoyment of a wonderful week with us. So whether it’s a one off, or this becomes a yearly tradition, make staying in one of Meribel’s luxury chalets something to look forward to in 2014.